we were inspired by a friend who recently made green, mint-scented play dough with gold glitter in honor of st. patrick's day. 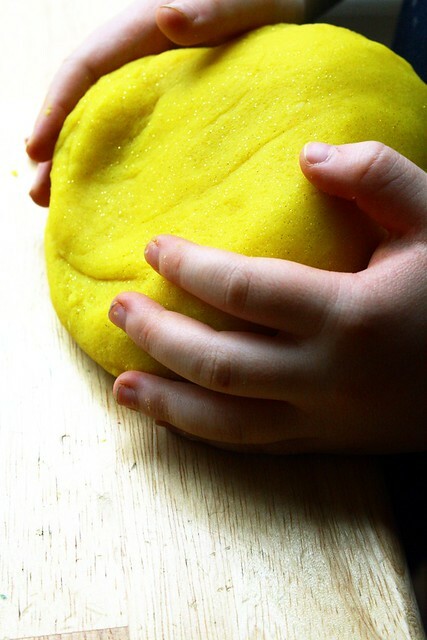 ours, however, was colored yellow and scented with wild orange and other various citrus essential oils. and the glitter. of course, the glitter.